Dhaka, 12 Mar, Abnews: The High Court on Monday granted a four months bail to BNP Chairperson Khaleda Zia in the Zia Orphanage Trust graft case. Th hearing over the bail of the chief of the main opposition outside parliament was held in the afternoon as case documents reached the court the previous day. The HC bench of Justice Mohammad Enayetur Rahim and Justice Shahidul Karim issued the bail order at about 2:20pm. 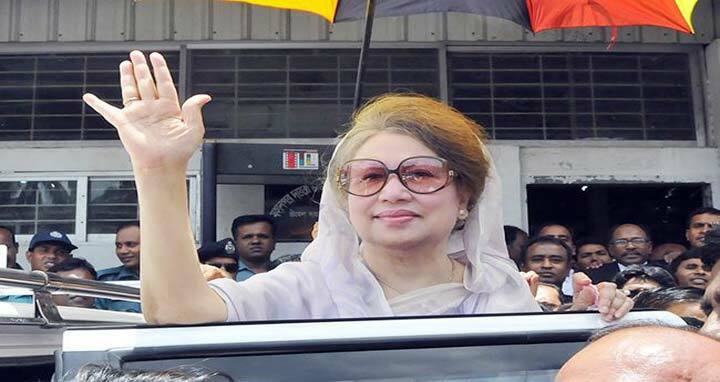 Earlier, on Sunday, the HC bench deferred its order on a petition seeking bail to BNP Chairperson Khaleda Zia in the case. On February 22, BNP Chairperson Khaleda Zia filed petition with the High Court seeking bail in the Zia Orphanage Trust graft case. The makeshift court delivered the verdict amid tight security. It also awarded 10 years of imprisonment to five others including her son Tarique Rahman. Khaleda was present in the court at the time of pronouncing the verdict. The court also fined Tk 2.10 crore each in the politically significant case ahead of the parliamentary election. Four other accused are former BNP MP Salimul Haq Kamal and businessman Sharfuddin Ahmed, former principal secretary Kamal Uddin Siddique and Mominur Rahman, nephew of late President Ziaur Rahman.Kamal Uddin Siddique and Mominur Rahman have long been absconding.